Earn $1.88 in VIP credit (188 points)What's This? 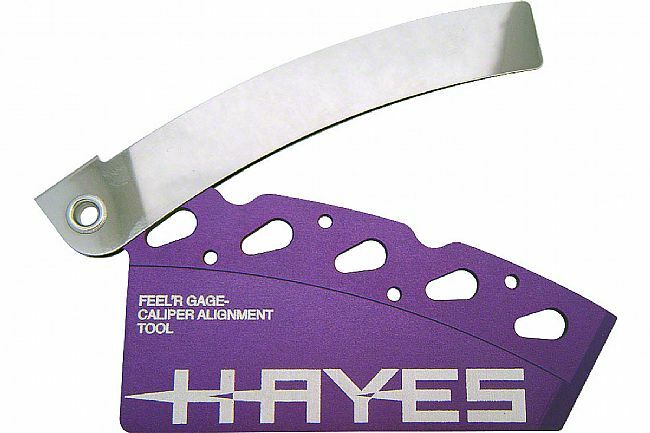 The Hayes Feel'r Gauge Disc Brake Alignment Tool is easy to use and delivers perfect alignment every time. Insert the steel shims on either side of the disk to achieve appropriate pad spacing; make sure the caliper is parallel with the rotor.